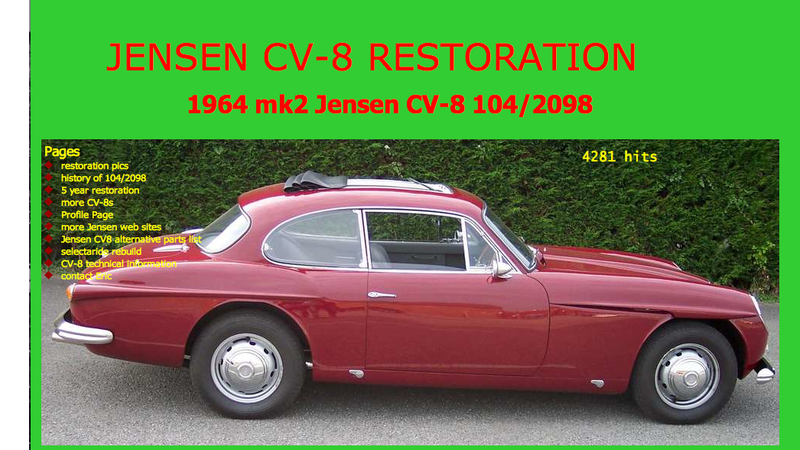 Here is collection of Jensesn C-V8 restoration sites and pages. Please email me any you know about that are not here and I will include them. 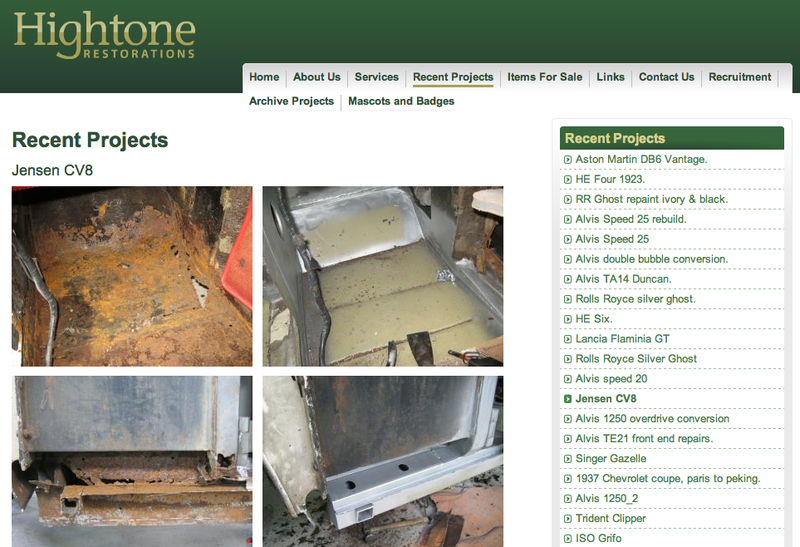 A professional restoration company based in Enstone, Ofordshire, England. 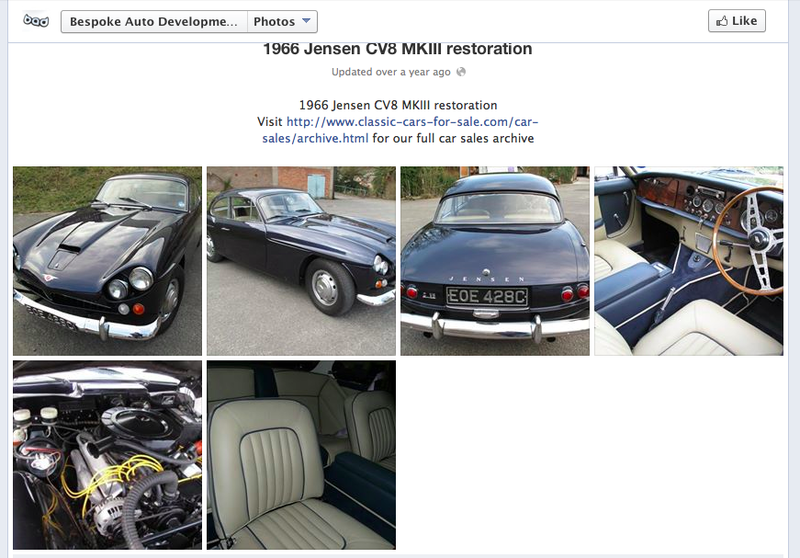 Among the many different marques they have restored a Jensen C-V8 was one of their triumphs! Click Here to go to site. or click the picture. Another C-V8 Restoration on a Facebook page from Bespoke Auto Development. Very smart interior! Click here to go to the page or click the picture opposite. Longmynd Service Station is in Shropshire and they take on classic restoration that looks to be of a high standard. 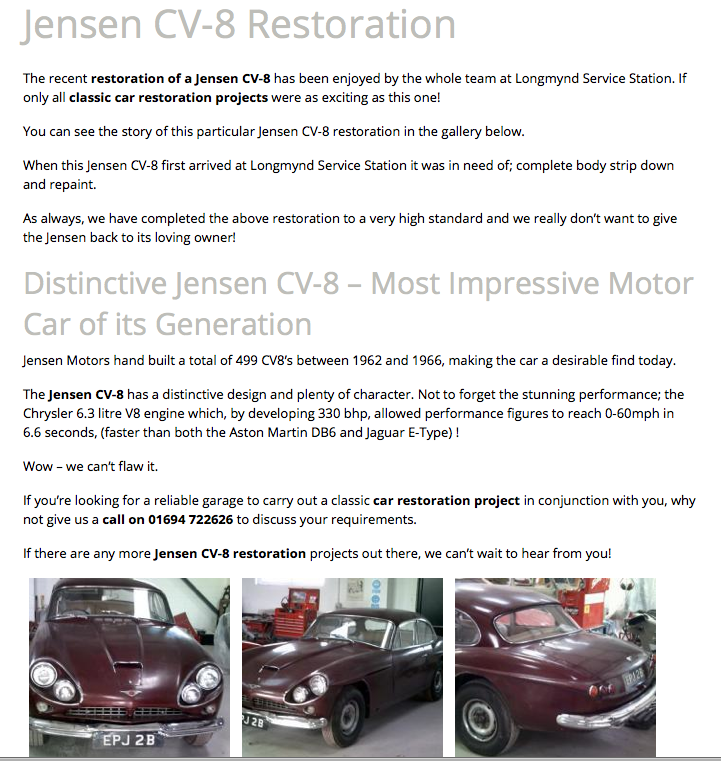 They have restored a Jensen C-V8. Click here to go to the site or click the picture opposite. 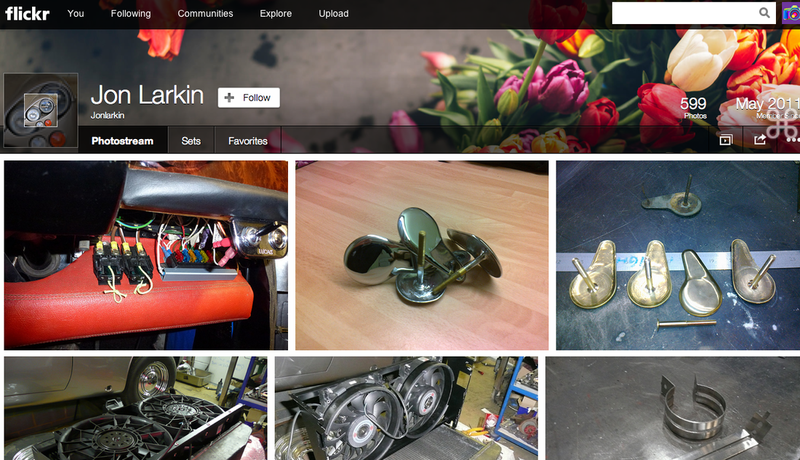 This is the Flickr photo stream of Jon Larkin. Great guy if you ever meet him and has done an amazing job on his C-V8. Click here to visit his stream or click the picture opposite. Amazing restoration of a concours winning C-V8. Click here to visit the site or click the picture opposite. 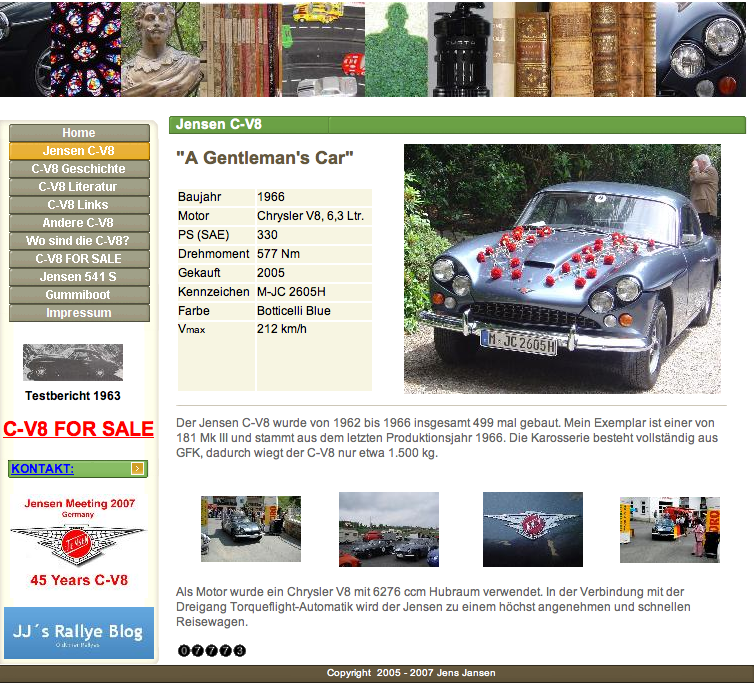 Really cool C-V8 site of Jens Jensan. Click here to go to the page. It is in German but you can always use Google Translate. 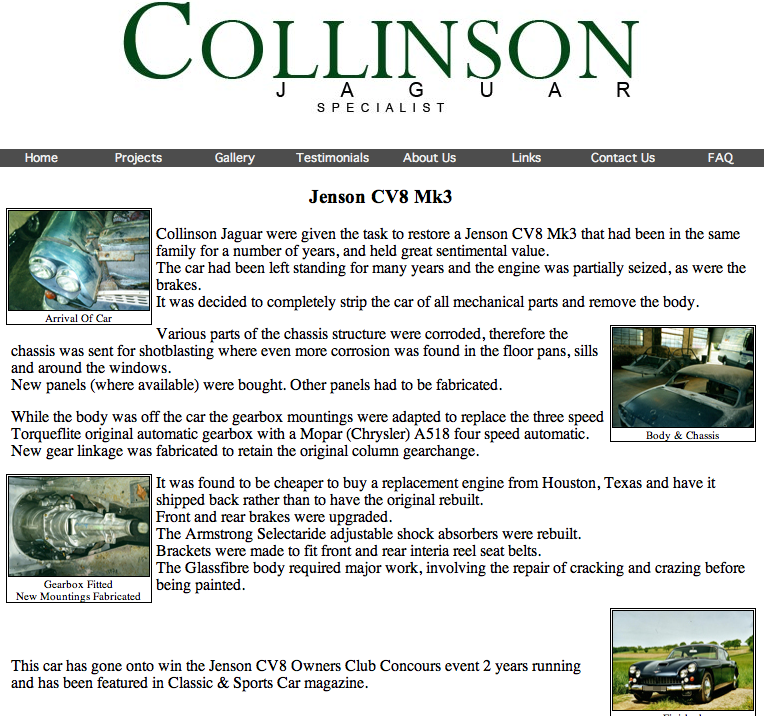 Collison Jaguar. Collinson Jaguar were given the task to restore a Jenson CV8 Mk3 that had been in the same family for a number of years, and held great sentimental value. The car had been left standing for many years and the engine was partially seized, as were the brakes. It was decided to completely strip the car of all mechanical parts and remove the body. Visit the site here.